Tooth decay is ont the most widly spread oral deseases nowadays. There is hardly an adult or a child who does not have at least one tooth filling. Dental caries occures when a low level of pH causes demineralization or softening of dental hard tissue. 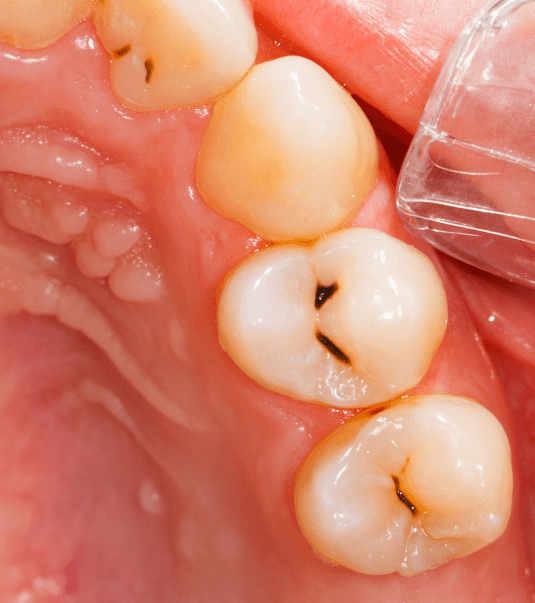 Bacteries, then, continue to decompose the softened enamel which leads to a hole called a cavity. The treatment includes removing a decay and repairing a cavity with a filling, which is done in the following way: after the caries is thoroughly removed by diamond or carbide drills, the filling is applied. In our practice we can offer you the latest tooth-coloured composites which can be closely matched to the colour of existing teeth and are particularly well suited for use on front teeth. The fillings used on the side teeth are of high strength and can resist the pressure while chewing. Another advantage is that these materials adhere naturally to tooth tissues, and unlike amalgam filling, there is no need to destroy the healthy parts of the tooth thus saving the tooth substance. These fillings bond tightly to the tooth preventing bacterias or secondary decay under the filling. They are easy to shape so that they look natural. A tooth with the high quality composite filling, provided a good oral hygiene is practiced every day, can last for years. It is the pain that forces patients to see a dentist. When toothache starts it is very likely that caries has advanced all the way to the pulp (nerve) and a root canal treatment is necessary. The pulp is the inner structure of the tooth which houses blood vessels, nerves and other cells. The treatment requires a couple of visits to the dentist, as the procedure involves removing of infected pulp, root canal cleaning and sealing. During the first visit, the dentist will open the tooth, clean the pulp cavity and place a medicine. On your next visit, it is necessary to determine the root length for the purpose of which we use apex locator, a noninvasive and reliable method. This requires a prior x-ray of the tooth. Also, it is necessary to thoroughly clean the pulp chamber as to reduce the number of bacteria on the root walls and get a nice oval shape of the canal. During the procedure the tooth is profusely irrigated with a bactericide. In case of gangrene, we have broad spectrum of drugs which have both a calming and repairing effect on tooth tissue. Tooth canals are filled with these drugs and remain like that for a certain number of days. When the treatment is over, we seal the tooth hermetically preventing the invasion of microorganisms. 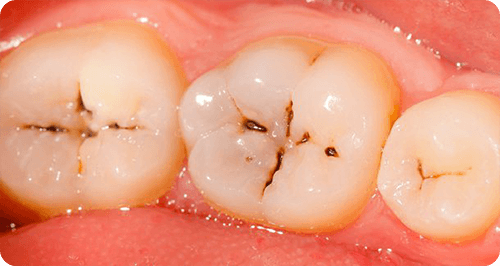 Why treating and not extracting the tooth? Because the cured tooth can last for years and can be used as a carrier for dental prosthesis.